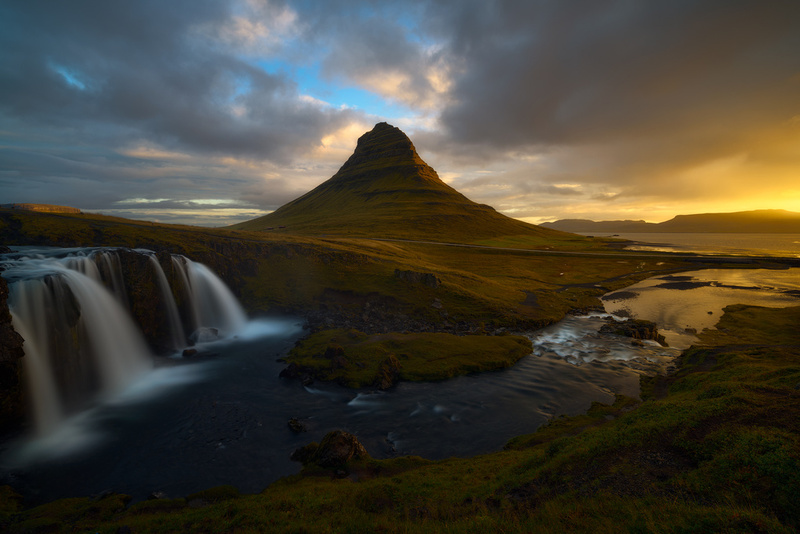 Kirkjufell is an icon of Iceland's beautiful landscapes and it had to be the first on the list of places to visit when I went there in September. I wasn't expecting such a beautiful sunrise that day, it had been very cloudy until then and suddenly some golden light appeared, casting a beautiful glow over the water, bringing the mountain's right side to life. It was such an exciting moment of my trip to Iceland. Next time I gotta go in the winter and hopefully I can get a nice reflection of the mountain since it was too windy that day for that.